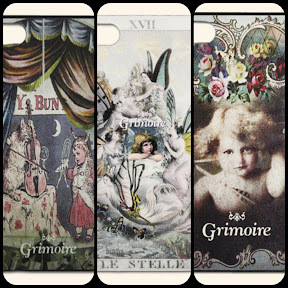 Strange Girl: Grimoire Releases iPhone Cases! 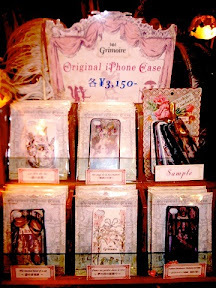 For those of us who want to "dolly up" all aspects of our lives, Grimoire has released a series of iPhone cases! 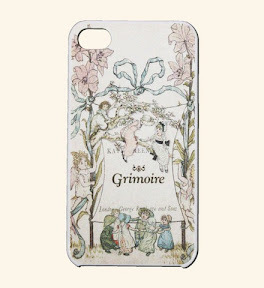 The designs for the cases are quite reminiscent of the Verum tights, running from dark to light and whimsical. 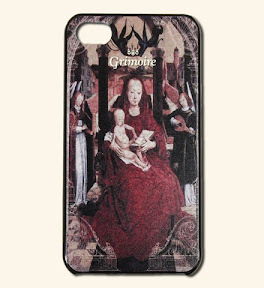 There are give designs in total, and are available in-store and on the Grimoire online shop. The cost is 3,150yen. CLICK HEREfor the entry and more images from the Grimoire blog. The two above are hands down my favorites. I love that we'll be able to add a little bit of Grimoire to our phones. *all images from the Grimoire blog.